In the Low Countries, stadtholder (Dutch : stadhouder [ˈstɑtˌɦʌudər] ( listen )) was an office of steward, designated a medieval official and then a national leader. The stadtholder was the replacement of the duke or earl of a province during the Burgundian and Habsburg period (1384–1581/1795). A steward is an official who is appointed by the legal ruling monarch to represent them in a country, and may have a mandate to govern it in their name; in the latter case, synonymous with the position of regent, vicegerent, viceroy, governor, or deputy. The title was used for the official tasked with maintaining peace and provincial order in the early Dutch Republic and, at times, became de facto head of state of the Dutch Republic during the 16th to 18th centuries, which was an effectively hereditary role. For the last half century of its existence, it became an officially hereditary role and thus a monarchy (though maintaining republican pretence) under Prince William IV. His son, Prince William V, was the last stadtholder of the republic, whose own son, King William I, became the first king of the Netherlands. The Dutch monarchy is only distantly related to the first stadtholder of the young Republic, William of Orange, the leader of the successful Dutch Revolt against the Spanish Empire, his line having died out with William III. The title stadtholder is roughly comparable to England's historic title Lord Lieutenant. Stadtholder means "steward". Its component parts literally translate as "place holder," or as a direct cognate, "stead holder" (in modern Dutch "stad" means "city", but the older meaning of "stad" – also "stede" – was "place", and it is a cognate of English "stead", as "in stead of"), it was a term for a "steward" or "lieutenant". Note, however, that is not the word for the military rank of lieutenant, which is luitenant in Dutch. Stadtholders in the Middle Ages were appointed by feudal lords to represent them in their absence. 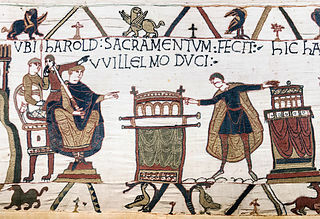 If a lord had several dominions (or, being a vassal, fiefs), some of these could be ruled by a permanent stadtholder, to whom was delegated the full authority of the lord. A stadtholder was thus more powerful than a governor, who had only limited authority, but the stadtholder was not a vassal himself, having no title to the land. The local rulers of the independent provinces of the Low Countries (which included the present-day Netherlands, Belgium and Luxembourg) made extensive use of stadtholders, e.g. the Duke of Guelders appointed a stadtholder to represent him in Groningen. In the 15th century the Dukes of Burgundy acquired most of the Low Countries, and these Burgundian Netherlands mostly each had their own stadtholder. In the 16th century, the Habsburg Holy Roman Emperor Charles V, also King of Spain, who had inherited the Burgundian Netherlands, completed this process by becoming the sole feudal overlord: Lord of the Netherlands. Only the Prince-Bishopric of Liège and two smaller territories (the Imperial Abbey of Stavelot-Malmedy and the Duchy of Bouillon) remained outside his domains. Stadtholders continued to be appointed to represent Charles and King Philip II, his son and successor in Spain and the Low Countries (the electoral Imperial title would be held by heirs of Charles in the separate Austrian branch of Habsburgs). Due to the centralist and absolutist policies of Philip, the actual power of the stadtholders strongly diminished. When, in 1581, during the Dutch Revolt, most of the Dutch provinces declared their independence with the Act of Abjuration, the representative function of the stadtholder became obsolete in the rebellious northern Netherlands – the feudal lord himself having been abolished – but the office nevertheless continued in these provinces who now united themselves into the Republic of the Seven United Netherlands. The United Provinces were struggling to adapt existing feudal concepts and institutions to the new situation and tended to be conservative in this matter, as they had after all rebelled against the king to defend their ancient rights. The stadtholder no longer represented the lord but became the highest executive official, appointed by the states of each province. Although each province could assign its own stadtholder, most stadtholders held appointments from several provinces at the same time. The highest executive power was normally exerted by the sovereign states of each province, but the stadtholder had some prerogatives, like appointing lower officials and sometimes having the ancient right to affirm the appointment (by co-option) of the members of regent councils or choose burgomasters from a shortlist of candidates. As these councils themselves appointed most members of the states, the stadtholder could very indirectly influence the general policy. In Zeeland the Princes of Orange, who after the Dutch Revolt most often held the office of stadtholder there, held the dignity of First Noble, and were as such a member of the states of that province, because they held the title of Marquis of Veere and Flushing as one of their patrimonial titles. On the Republic's central 'confederal' level, the stadtholder of the provinces of Holland and Zealand was normally also appointed Captain-General of the confederate army and Admiral-General of the confederate fleet, though no stadtholder ever actually commanded a fleet in battle. In the army, he could appoint officers by himself; in the navy only affirm appointments of the five admiralty councils. Legal powers of the stadtholder were thus rather limited, and by law he was a mere official. His real powers, however, were sometimes greater, especially given the martial law atmosphere of the 'permanent' Eighty Years War. Maurice of Orange after 1618 ruled as a military dictator, and William II of Orange attempted the same. The leader of the Dutch Revolt was William the Silent (William I of Orange); he had been appointed stadtholder in 1572 by the first province to rebel, Holland. His personal influence and reputation was subsequently associated with the office and transferred to members of his house. Maurice in 1618 and William III of Orange from 1672 replaced entire city councils with their partisans to increase their power: the so-called "Changings of the Legislative" (Wetsverzettingen). By intimidation, the stadtholders tried to extend their right of affirmation. In reaction, the regents in Holland, Zeeland, Utrecht, Guelders, and Overijssel, after the death of William II in 1650, appointed no stadtholder. They subsequently were forced to appoint one by the catastrophic events of 1672, the Dutch Year of Disaster ( Rampjaar ). After the death of William III in 1702 they again abstained from appointing one. These periods are known as the First Stadtholderless Period and the Second Stadtholderless Period. After the French invasion of 1747, the regents were forced by a popular movement to accept William IV, Prince of Orange, stadtholder of Friesland and Groningen, as stadtholder in the other provinces. On 22 November 1747, the office of stadtholder was made hereditary (erfstadhouder). As William (for the first time in the history of the Republic) was stadtholder in all provinces, his function accordingly was restyled Stadhouder-Generaal. After William IV's death in 1751, his infant son was duly appointed stadtholder under the regency of his mother. The misgovernment of this regency caused much resentment, which issued in 1780 in the Patriot movement. The Patriots first took over many city councils, then the States of the province of Holland, and ultimately raised civil militias to defend their position against Orangist partisans, bringing the country to the brink of civil war. Through Prussian military intervention in 1787, Prince William V of Orange was able to suppress this opposition, and many leaders of the Patriot movement went into exile in France. The stadtholderate was strengthened with the Act of Guarantee (1788). The exiles returned with French armies in the winter of 1795 and overcame the frozen Dutch Water Line. William V of Orange-Nassau fled to England, and the office of stadtholder was abolished in 1795 when the French revolutionary forces installed the Batavian Republic. From 1572 in the Southern Netherlands the Habsburg lords continued to appoint provincial stadtholders for the region, until it was annexed by France in 1794. However, William I, the son of the last stadtholder William V, was crowned king after the French army retreated in 1815. 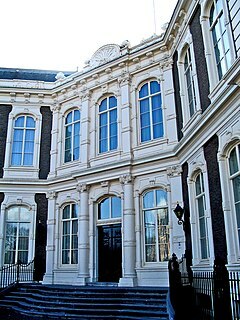 The Council of State is a constitutionally established advisory body in the Netherlands to the government and States General that officially consists of members of the royal family and Crown-appointed members generally having political, commercial, diplomatic or military experience. It was founded in 1531, making it one of the world's oldest still-functioning state organisations. The grand pensionary was the most important Dutch official during the time of the United Provinces. In theory he was only a civil servant of the Estates of the dominant province among the Seven United Provinces: the county of Holland. In practice the grand pensionary of Holland was the political leader of the entire Dutch Republic when there was no stadtholder at the centre of power. In the 16th, 17th and 18th centuries, the regenten were the rulers of the Dutch Republic, the leaders of the Dutch cities or the heads of organisations. Though not formally a hereditary "class", they were de facto "patricians", comparable to that ancient Roman class. Since the late Middle Ages Dutch cities had been run by the richer merchant families, who gradually formed a closed group. At first the lower-class citizens in the guilds and schutterijen could unite to form a certain counterbalance to the regenten, but in the course of the 15th century the administration of the cities and towns became oligarchical in character. From the latter part of the 17th century the regent families were able to reserve government offices to themselves via quasi-formal contractual arrangements. In practice they could only be dislodged by political upheavals, like the Orangist revolution of 1747 and the Patriot revolt of 1785. Habsburg Netherlands is the collective name of Holy Roman Empire fiefs in the Low Countries held by the House of Habsburg and later by the Spanish Empire, also known as the Spanish Netherlands. The rule began in 1482, when after the death of the Valois-Burgundy duke Charles the Bold the Burgundian Netherlands fell to the Habsburg dynasty by the marriage of Charles's daughter Mary of Burgundy to Archduke Maximilian I of Austria. The States of Friesland were the sovereign body that governed the province of Friesland under the Dutch Republic. They were formed in 1580 after the former Lordship of Frisia acceded to the Union of Utrecht and became one of the Seven United Netherlands. The Frisian stadtholder was their "First Servant". The board of Gedeputeerde Staten was the executive of the province when the States were not in session. The States of Friesland were abolished after the Batavian Revolution of 1795, when the Batavian Republic was founded. They were resurrected in name in the form of the Provincial States of Friesland under the Constitution of the Kingdom of the Netherlands. The Perpetual Edict was a resolution of the States of Holland passed on 5 August 1667 which abolished the office of Stadtholder in the province of Holland. At approximately the same time, a majority of provinces in the States General of the Netherlands agreed to declare the office of stadtholder incompatible with the office of Captain general of the Dutch Republic. The Dutch Republic was a confederation of seven provinces, which had their own governments and were very independent, and a number of so-called Generality Lands. These latter were governed directly by the States-General, the federal government. The States-General were seated in The Hague and consisted of representatives of each of the seven provinces. The Lordship of Frisia or Lordship of Friesland was a feudal dominion in the Netherlands. It was formed in 1524 when Emperor Charles V finally conquered Frisia.